We accept payment by cheque, BACS or Credit and debit cards. To pay by credit or debit card please phone us on 01684 574865 or 07443520040 and we will confirm the product availability and process your card payment over the phone. Please contact us on 01684 574865 or 07443520040 for our bank details. To pay by cheque or postal order. or phone on 01684 574865 or 07443520040. Our unique Garden rooms’s use timber selected and felled by us in local woodlands that we manage. We then process the timber including hand peeling the upright timbers. We have chosen timber species that are renown for their strength and durability. Our Garden rooms’s are bespoke. You can choose various styles for the panels. Our Garden room’s are bespoke. You can choose various styles and materials for the roof, wall and floor. 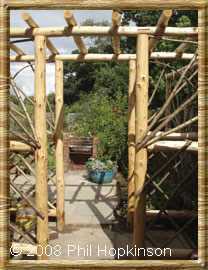 We pride ourselves in the ability to offer a unique structure to fit you space and requirements. 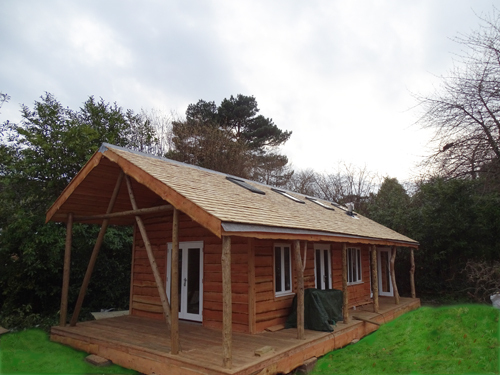 Quality features include a handmade Western Red Cedar shingle roof as standard and substantial timber throughout. Price includes delivery and construction anywhere in mainland England. This building is individually custom made to order. It may therefore not be possible to cancel an order after the manufacturing process has started without incurring reasonable charges. • Pressure treated roof rafters. • Western Red cedar shingles and boards. 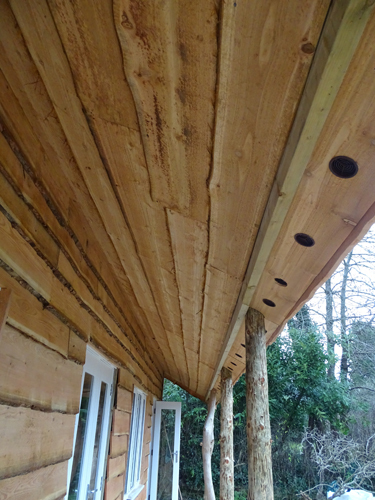 • Peeled Larch posts and lower slates. 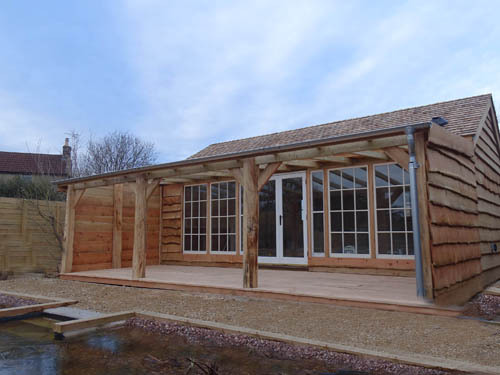 • All timber used in the construction of these garden rooms is sourced from local woodlands we manage with the exception of the Pressure treated timber which originates from sustainable forests in northern Europe. 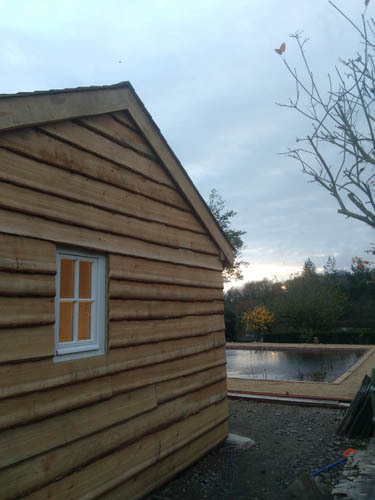 • Roof design utilising100MM thick rafters, breathable membrane under handmade Western Red Cedar shingles. • Optional hand peeled Ash lattice panels. To place an order, obtain a quote or to discuss a project in more detail please Contact us.